As I finished up a recent Chinese dinner of chicken with black bean sauce, I cracked open my fortune cookie and glanced at the message inside. “All things have an end,” it said, fittingly enough as I get ready for retirement at the end of the month. 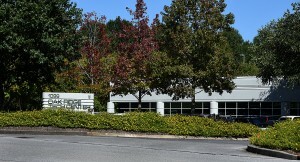 For the past 35 years, maybe a little more, I’ve covered the Department of Energy and its Oak Ridge operations. It’s a news beat I created at the News Sentinel after serving as state editor and realizing the wealth of news potential at the government facilities. This entry was posted in DOE HQ, HFIR, History, mercury, neutrons, NNSA, nuclear, Oak Ridge things, ORAU, ORO, security, UPF, Y-12 on June 16, 2016 by Frank Munger. 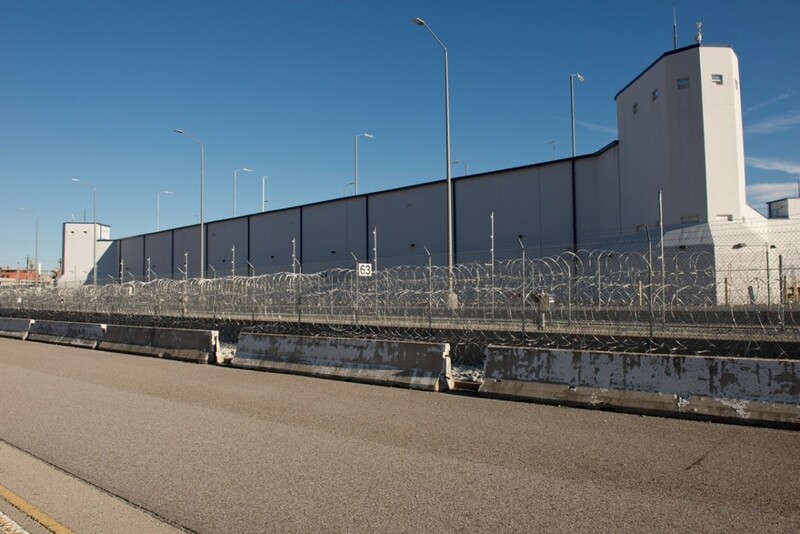 The Highly Enriched Uranium Materials Facility is a massive structure on the west side of the Y-12 nuclear weapons plant, and it may very well house the world’s largest inventory of bomb-grade uranium at a single location. This entry was posted in HEUMF, UPF, uranium, Y-12 on June 9, 2016 by Frank Munger. 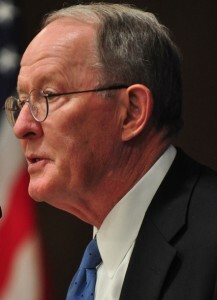 The Senate earlier today passed the Energy and Water Development Appropriations Bill for FY 2017, which would provide a big boost in funding for the Department of Energy’s Office of Science and would provide $575 million for continued development of the Uranium Processing Facility at the Y-12 nuclear weapons plant in Oak Ridge. 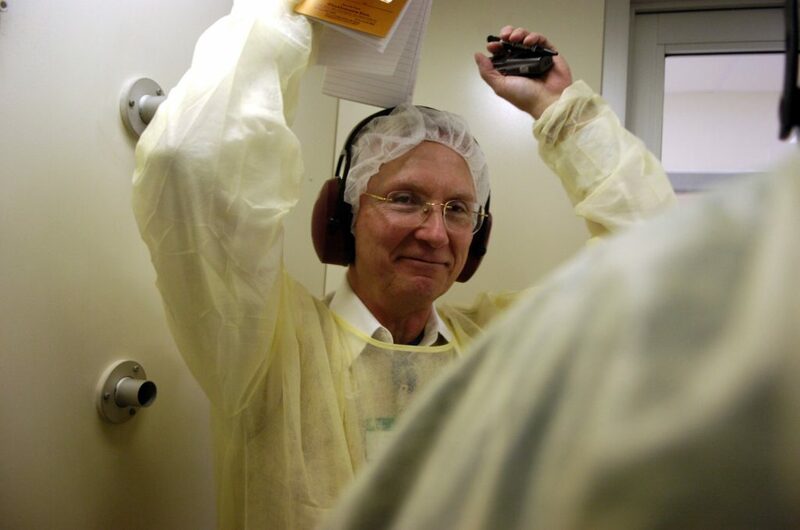 This entry was posted in DOE HQ, ITER, ORNL, Science, UPF, Y-12 on May 12, 2016 by Frank Munger. 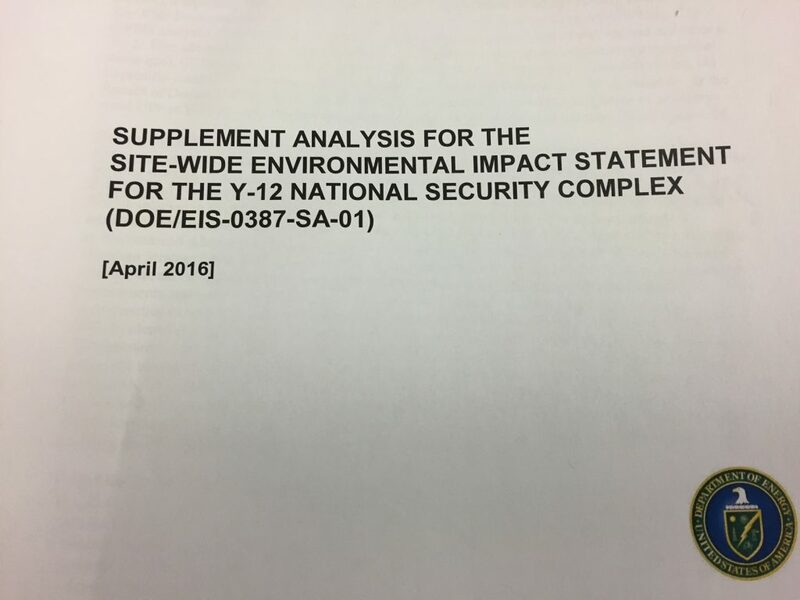 Because of scaled-down plans for the Uranium Processing Facility, reduced new construction to save money and modifications to old existing buildings to make them last longer, the National Nuclear Security Administration did a 54-page “supplement analysis” to the Site Wide Environmental Impact Statement at the Y-12 nuclear weapons plant that was conducted back in 2011. This entry was posted in NNSA, nuclear, UPF, uranium, Y-12 on May 2, 2016 by Frank Munger. This entry was posted in OREPA, UPF, uranium, Y-12 on April 14, 2016 by Frank Munger. 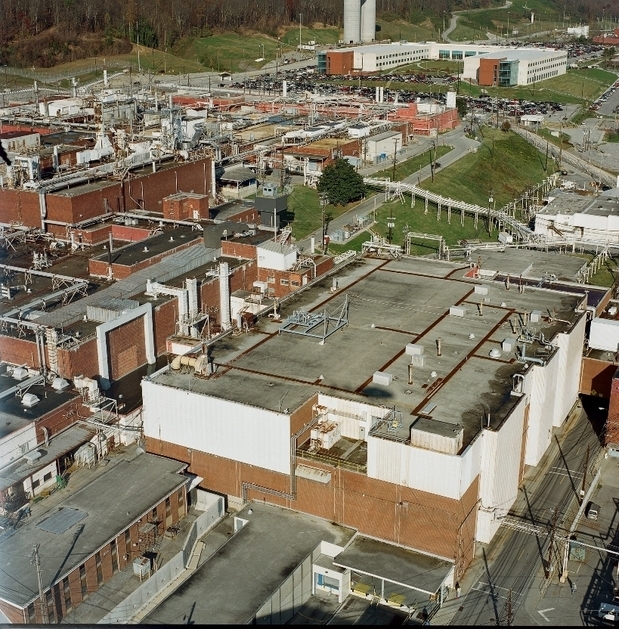 One of the ways the National Nuclear Security Administration and its contractors were able to reduce the scope and cost of the multibillion-dollar Uranium Processing Facility at the Y-12 nuclear weapons plant was their decision to extend the life of some the plant’s existing facilities. This philosophy was contained in the 2014 report by a review team headed by Oak Ridge National Laboratory Director Thom Mason, and it’s starting to take shape. This entry was posted in CNS, NNSA, UPF, uranium, Y-12 on April 14, 2016 by Frank Munger. 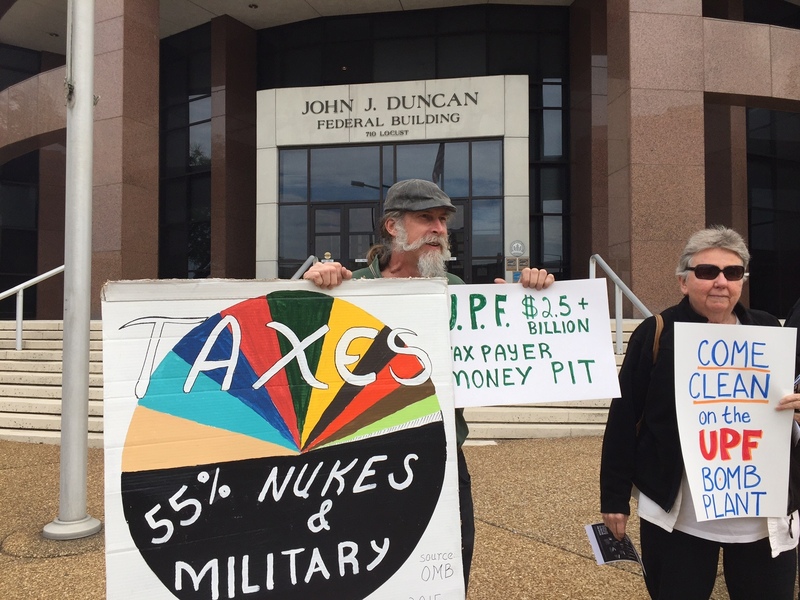 The Alliance for Nuclear Accountability, which includes the Oak Ridge Environmental Peace Alliance and other activist groups situated near Department of Energy nuclear sites, has produced a 20-page report that blasts the government’s spending on nuclear weapons. 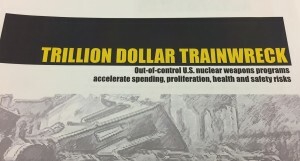 The title of the report is “Trillion Dollar Train Wreck,” referencing plans to spend about $1 trillion over the next 30 years on modernization of nuclear weapons, delivery systems and weapons-related facilities. This entry was posted in NNSA, nuclear, OREPA, UPF, Y-12 on April 14, 2016 by Frank Munger. This entry was posted in nuclear, Oak Ridge things, ORNL, UPF, Y-12 on April 13, 2016 by Frank Munger.